Imagine—when the L train shuts down between Manhattan and Williamsburg in 2019—having reliable and easy transportation to get you across the bridge and into your office without a sweaty bike ride, long walk, or crammed shuttle journey. Imagine taking the L to Lorimer and when the crowds gather at the doors of sardine can packed busses chuckling to yourself as you unfold a lightweight hybrid vehicle which will carry you to your final destination with a flick of the wrist. 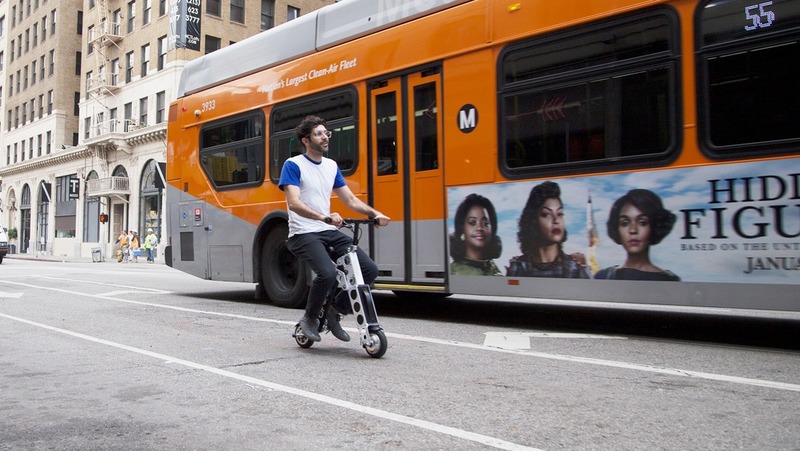 That solution may exist in the form of an URB-E, part scooter, part folding bike elegantly designed to take up very little space in our already cramped apartments. I had the opportunity to test drive the newest models of the URB-E, and while I fully expected an unstable, possibly dangerous feeling ride, the reality was much different. 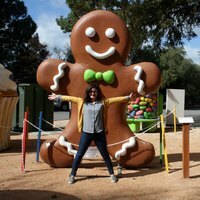 Evan Saunders, head of URB-E's sales and marketing team, says the URB-E was specifically designed to solve the "last mile" problem in transportation, which is exactly the issue we'll be dealing with when our nearest subway stop is no longer a few blocks away and may require a 15- to 20-minute walk. 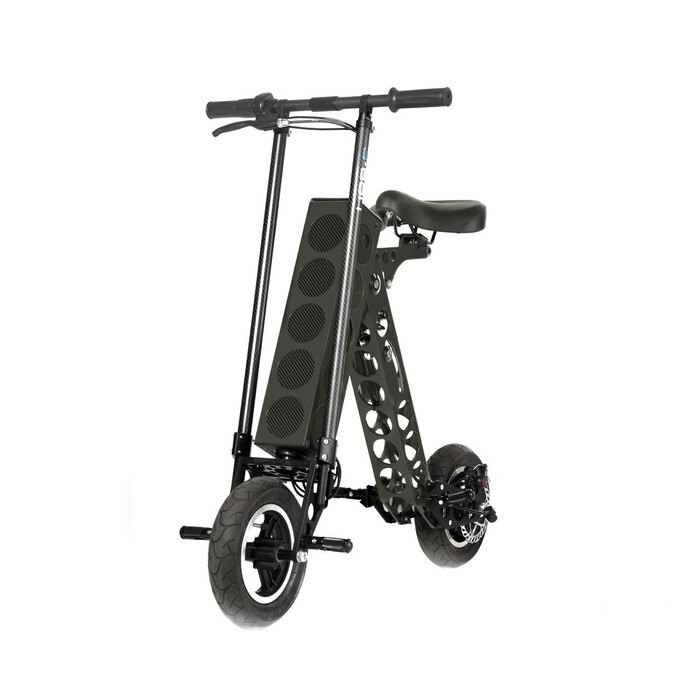 URB-E Sport boasts a removable battery that can be charged in any wall outlet and a 16-mile range, more than sufficient for getting to any job and back without breaking a sweat. The battery itself is equipped with charging ports so you always have a portable battery for your phone and laptop. The 30-pound weight of the folded vehicle is a little prohibitive for those of us with noodle arms, but the truth is that user weakness is a kind of user error. Turning the URB-E on is as easy as turning a key in the battery and turning a mechanism on the handlebars. 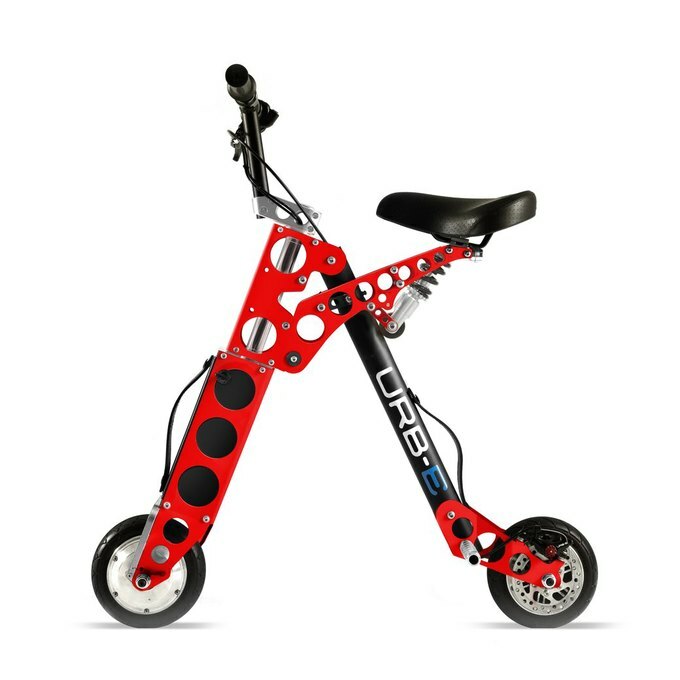 Both the URB-E Sport and the URB-E Pro accelerate quickly, but the URB-E Pro, with its bigger wheels, absorbs the bumps of the road more readily. Of course, electric transportation never comes cheap. The most basic version of the URB-E will cost you around $899—still cheaper than a new Macbook Pro. And options for a bigger battery, larger wheels, and higher speeds can run you all the way up to $1,999. But as I cruised along the edge of Madison Square Park, a litany of people oohed and aahed at the sleek design and zippy handling. In those moments, with the rain-flecked wind blowing in our hair, I could really feel the possibilities a vehicle like this could open up. Featured image courtesy of URB-E.